North Idaho weather is fickle. 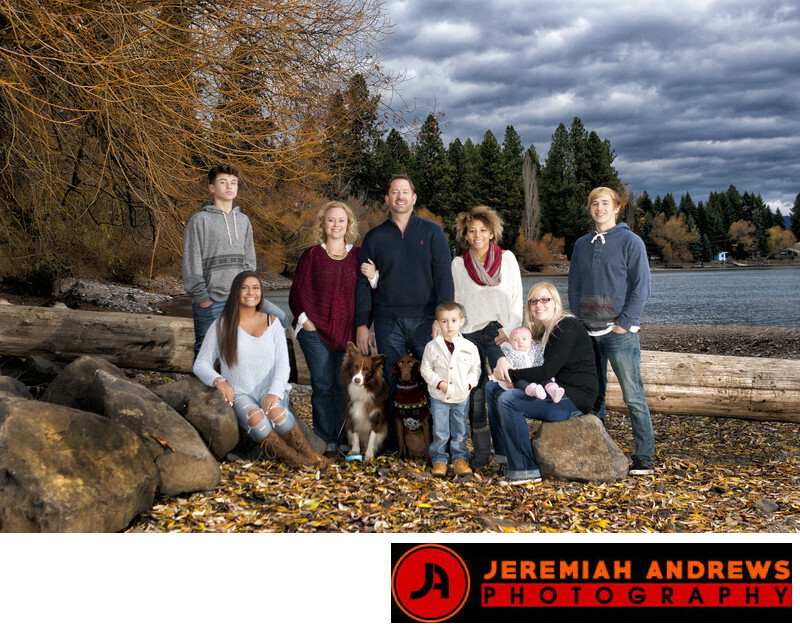 However Jeremiah Andrews photography has clients that aren not. In over 12 years as full time photographers in the greater Cda area it is not often we get customers who balk at outdoor photography regardless the weather. You can see by this photo the weather was looking mean, angry and downright theatrical. It was a good thing the family wore great color contrast for such a sky. The portrait was captured on the shores of Hayden Lake, in Hayden, Idaho in the month of October. We have taken photos of the Doctors family for over 7 years now. We have come to love this family and have been so happy to see their family grow. We have shot their high school senior pictures, family pictures, grand baby photos as well as their business headshots. If its time for you to find a photographer who will be there while your family grows, look no further. Reach out, we would love to "shoot" your family. Pun intended. Keywords: Top Photographers in Cda (3).